After being life long sailors we finally found our ideal port in Portugal. We spent the last 15 years of our life in the hospitality industry which we thoroughly enjoyed and have transferred our skills afloat to terra firma. Our quintinhas have all been named after bodies of water that we have sailed in and each have their own appeal and character. With a name like Bom Vento (meaning Good Wind) this felt like destiny! We wanted the privacy to roam as freely on the oceans as we were used to, but without the space confinements! Despite being used to sea views we love being surrounded by green valleys and can easily reach various parts of the Silver coastline in under 25 minutes. The farm had been neglected but we wanted to bring it back to life. Although rural and peaceful we are only 7km from the delightful picture perfect medieval village of Obidos and also Buddha Eden the largest Oriental garden in Europe. A bus from the bottom of the hill can whisk you to Lisbon in less than an hour, and a choice of beaches in under 25 minutes. What was there not to love! The farm is designed around a central courtyard but each property has its own private spaces and aspect which means it is ideal for couples or families travelling individually or with friends who want to spend time together but alos have their own personal space. This is not a cookie cutter villa on a golf course. QBV is unique and oozes charm being faithful to its traditional Portuguese touches but with lots of luxurious enhancements! The original farmhouse, barn, outdoor kitchen, stables and wine press have all been converted into unique self catering accommodations for people looking for a memorable and comfortable holiday base. You will not be disappointed! Pellet burner - romance of a wood stove but with push button convenience. Luxury linens that you will want to sleep in! Beach towels also available to reduce your packing requirements. Actually a pellet burner - romance of a wood stove but with push button convenience. 7km from the picture perfect Obidos - a tourist must see and in all the guides.Buddha Eden - a hidden gem only now appearing in tourist literature - described as the largest Oriental garden in Europe - fabulous and unique. 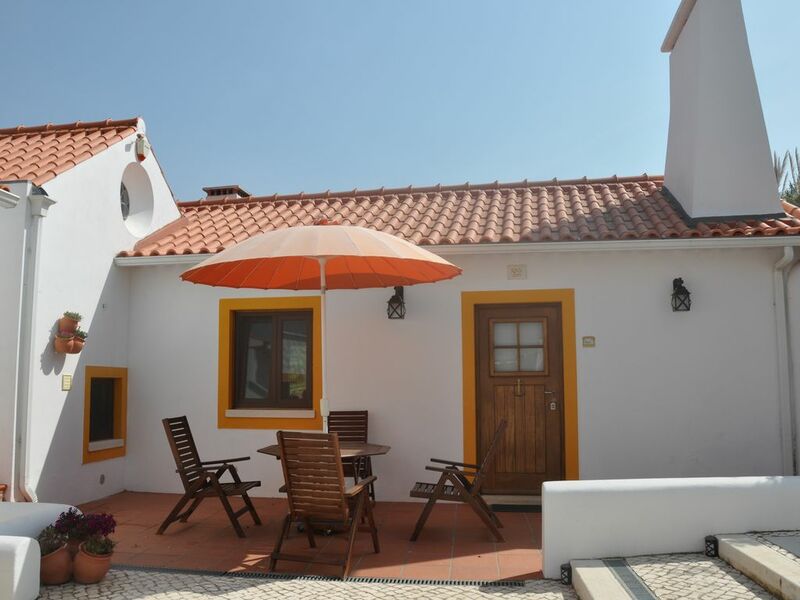 Silver coastal towns of Sao Martinho do Porto and Nazare within 35 mins. We love pets and have a dog. We know it can be a problem travelling with them and finding quality accommodation so we believe we are being considerate allowing pets to stay. We are charging an additional 25 euro per pet per booking as no matter how good Rex may be, there will inevitably be additional cleaning. We do also expect them to be as well behaved (if not better) than their owners. We reserve the right to request guests and their pets to leave if we feel they are abusing this (ie we do not feel appropriate behaviour is allowing the pets on the beds or furniture -( much as we adore our dog, she has her OWN bed.) or causing a nuisance or disturbance to any other guests or the peace of Quinta do Bom Vento.